On this day three years ago, I wrote my first post at things mean a lot. I think I've told you all the story of how I first started blogging quite a few times before, so apologies in advance for being repetitive. At the time, I wasn't at all aware that I was about to start a book blog, or even of what a book blog was. I didn't know that I was about to join a community of like-minded readers, to discover fantastic books I hadn't even heard of before, or to meet some of the kindest and most interesting people I've ever had the pleasure of knowing. All I knew was that a group of people from around the world were going to read fantasy, mythology, folklore and fairy tales for three months, and that I wanted to join them. This was apparently called a "reading challenge", and there were several of them out there. Many thanks to Carl and his Once Upon a Time Challenge, without which this blog probably wouldn't exist. My third blogiversary comes at a strange time: I've been feeling slightly burned out and unmotivated for a few months now, and those why-am-I-even-doing-this moments have become more and more frequent. [As have several other boggers, judging by the many posts on the topic I've seen over the past week. I imagine you might be tired of bloggers-with-the-blahs by now, but I've been working on this post for some time, so decided to go ahead and post it anyway. I apologise for beating a dead horse, though.] I absolutely love blogging, but ever since I started to work full-time back in October, I feel that I'm constantly struggling to keep my head above the water. Things have gotten worse in the past two months or so, when I've also had to deal with a lot on the personal front. The problem isn't really finding the time to read and then write about what I read - I have developed a routine that allows me to carry on doing this without much of a struggle. I always read during my lunch break at work and for a bit in the evenings, and on weekends I write and schedule my posts for the rest of the week. So that side of things has mostly remained under control. But then there's the community, which is both the most demanding and the most rewarding side of blogging. I realise I'm a little too prone to guilt, but I often feel bad for being here at all when I can't be here one hundred per cent. I want blogging to be a conversation - and this doesn't just mean that I want to respond to people who take the time to leave me comments (sadly, even this is something I fail to do frequently these days). It also means that I want to be out there engaging with what others have to say. I want to know what's on your minds, to participate in blogging events, to maintain the connections I've made along the years. I don't want blogging to be one-sided, and I don't want to do all the talking. I want to listen too. Unfortunately, as time passes this is becoming more and more difficult. There are blogs I love where I haven't commented in months. Very often I realise I'm fifteen posts behind on a favourite blog and give up and attempt to start over, only to have it happen again a few weeks later. I know (or hope) that nobody holds this against me, and that most of you know very well what it's like to be busy. I know, too, that all this pressure is really only in my head, and that I just need to learn how to relax. But I worry, because worrying is what I do, that I have neglected or inadvertently hurt the feelings of people I care about. If that's the case, forgive me. I also worry that after three years, I have began to repeat myself a little too much; that even when I'm writing about different books, I'm basically saying the same things over and over again. I fear that because my reading is too samey, I have become boring, and that because my focus and my responses to things are so predictable, those of you who have reading me for more than a few months could basically write my posts for me with your eyes closed. But as I no longer have as much free time on my hands, it's difficult to break out of my four-or-five-boring-and-predictable-book-reviews-a-week-and-possibly-a-chattier-post-on-Sundays routine. I'm not really happy with my blog anymore, but sadly I don't have the time or the energy to improve it. I often wonder, should I continue to blog in auto-pilot? Or should I just quit if I can no longer keep a blog I'm happy with? Ah, blogging existential crises - we all have them, right? Or maybe these are just growing pains. The reason why I'm telling you all this is because in a few months my life is going to change again. I'll be moving away and starting library school (a decision which, by the way, was very much inspired by the many wonderful librarians I met through blogging). For a year at least things are going to be very busy indeed, much more so than they are now, and the time I'll have available for blogging will be extremely limited at best. So, what to do? At this point I honestly have no idea what's going to happen to this blog come September. Part of me really wants to go on - I love blogging, and though it's a demanding hobby, most of the time it's also rewarding. And I know that if I quit, I'd miss you all terribly. Interacting with you through comments, twitter, e-mail, etc. has become such an important part of my life. I'd even miss my lurkers, with whom I don't really get to interact (I'm a lurker at many blogs myself, by the way, so I completely understand being quiet. But just knowing you're out there makes me happy). I know, though, that to be able to continue I'll really have to quit being such a perfectionist. I'll have to stop feeling that if I can't be here a hundred per cent, I don't have the right to be here at all. I'll have to focus on the simple enjoyment I get out of writing about books and sharing my love of them with others. I'll have to stop taking myself so seriously, to put it simply, which would be a good thing for me in more ways than one. Anyway. I honestly didn't mean this post to be so gloomy. Mostly I just wanted to say thank you. Thank you for the support, the conversations, the book recommendations and the friendship. Thank you for not giving up on me when things get too crazy for me to be able to visit your blogs as often as I'd like. Thank you for listening. Also, because it's not a birthday party without presents, I want to randomly select a winner and have them pick a copy of a book of their choice that I've posted about in the past three years. To be entered, just leave me a comment answering the following question: who is your favourite author that you've discovered through book blogs? If you're curious, mine are Sarah Waters and John Green. Yes, I'm unfairly naming two and asking you pick just one. But I won't be a hypocrite and punish you for breaking a rule I've broken myself. Also! For five extra entries, all you have to do is record a vlog of yourself standing upside down for a minimum of seven minutes. For TEN extra entries, just come over and clean my house for me. Pretty please? Well, it was worth a shot anyway. Have a great Sunday, everyone. And thank you, for everything. Firstly, congratulations on three years of blogging. It's been wonderful reading your amazing reviews. You set a bar I'm sure many of us try to meet. Secondly, I have to agree with John Green. He takes blogging to a crazy awesome level, doesn't he? Thirdly, if I could I would totally come over and clean your house. Because then I could look through your shelves and I love looking through a reader's shelves. It's terribly voyeuristic, but so interesting as well! Lastly, I hope your malaise passes. I'm among the many who have felt like that these past few months. What is it, some disease spreading amongst us bloggers? I hope we find a cure soon! First of all, let me tell you that you are not the only one who thinks that way. I have been wondering about the exact things lately, especially since I had my baby in November and since my life has changed completely ever since! So I have been thinking if I can still read, write reviews, comment on other blogs and at the same time take care of my baby (who is now teething by the way and is screaming all day) and take care of my husband and the house. Well it has definitely been hard, but I try to manage it all. Because I know that I just have to blog, to read etc. I also ask myself if I am repeating myself when it comes to my reviews and I wished I would be more creative to post something other than my boring reviews. But I don't simply have the time to do it, to be honest. I wish I could participate in reading challenges, but I just can't do it. Maybe it gets a little easier when Emma is bigger, but honestly, I don't think so, because as she grows, she becomes more demanding. But then I also tell myself that there are other bloggers out there who have kids and who still manage to do everything I want to do. And maybe it's just my fault that I can't do the same. You see, you are not the only one with so many doubts. :) Sorry for my long answer, I don't want to bother you with my stuff, you have a lot going on yourself. But I guess, what I was trying to say, was that we all have our doubts and we all try to keep up with our blogs, but then we also have a life that keeps us busy enough. So we understand everything what you are saying and we understand if you don't always have the time to comment on our blogs. I have problems with that too, sometimes, as life gets in the way. All in all, I just wanted you to know that I am so glad that I discovered your blog last year, because it means a lot to me to read what you have to say and to hear about your reading suggestions. And by the way, I don't think that your reviews are boring. In fact, I think that they are fantastic and I wish I could write like that! Happy blogiversary! Congrats on your three years! I've discovered tons of great authors through book blogs, but I think Beth Kephart is my fave discovery. First let me encourage you not to give up blogging, even if your time commitment means a Sunday Salon post and only one or two other posts during the week. Second, I never find your posts boring or repetitive. There is nothing wrong with knowing your own mind and having a clear and strong viewpoint. Your posts are not predictable, especially because you read a nice variety of genres. Third, don't fret about September. You have no idea what your time limits will be. You may find that you have more blogging time, not less, Or you may find a different rhythm. Likely you will have a little less time for pleasure reading (since you will have schoolwork), but that doesn't necessarily mean no blogging. Fourth, I too like to post every day, but many successful bloggers post only a few times a week. Fifth, from mid-February until early April, I work 7 days a week and I am crazy, crazy busy with work. Yeah, I'm not reading blogs on a daily basis, some favorite blogs get the dreaded "mark all read" treatment, and my reviews and posts are not necessarily my best work -- but then I find a day off or the craziness ends,and I rediscover my love for blogging. The same can happen to you. Finally, I can't tell you what's right for you. I *can* tell you that I'd miss you terribly if you left the blogging world altogether. I can also tell you that some things may not be worth fretting over (easier said than done). Why not try to relax and see where it all takes you. Just like you had no idea three years ago where you'd be today, you really can't know where you'll be next month or next fall. Oh and I almost forgot to answer your question. I'm going to cheat. I'm not picking an author; instead I'm picking graphic books -- if it weren't for you and several other bloggers, I would have never, ever picked up a graphic novel or graphic memoir. So the graphic medium is one of my best discoveries since I started blogging. with his book 'The book thief'. And that's also my pick if I were to win. Btw, I forgot to congratulate you on your 3 years of blogging! Yuhu!!!! I would miss your posts and comments a lot if you were to drop out of the blogging world altogether, but sometimes you need to cut back to feel more in balance. I doubt many people are really keeping such close track of how often you're commenting on their blogs. I know I may notice if several weeks go by and a regular commenter doesn't pop in and say something, but I don't even expect my most loyal commenters to speak up on every post. And I've had to learn not to expect myself to take the time to comment on every post I enjoy. One thought I've had is to start tweeting/retweeting about others' posts that I enjoy but don't have much to say about. A couple of other bloggers do that frequently, and it gives me just as much pleasure to see that as to see a comment on my blog. And it certainly takes less time than crafting a comment! And as for my favorite author I've discovered through blogging, I'd have a hard time choosing one favorite, so I'm going to mention an author, *you* introduced me to, and that's Bill Willingham and the marvelous Fables series. I can totally relate to what you're feeling! I obviously haven't been blogging as long as you (By the way, congrats on three years!) but with school my life gets pretty busy. I don't always have time to post every day and read as much as I would like, but we all have priorities. School is at the top of the list for me, and blogging is farther down. So don't feel bad if you can't write the quality of reviews that you'd like (Which I think are amazing already) or comment on other blogs. I hope that everyone understands that you have a life and you have other things that need to be addressed before you blog. I'd also like to say that I hope you don't give up blogging any time soon! I love reading your posts and think you're doing a wonderful job. Don't stress - we still love ya! I just want to reach through and give you a hug! 3 years is a long time in the blog world, so I think these feelings are normal. It would be one thing if this were your livlihood and were pulling down six figures from blogging, but we are not. It is a consuming hobby. I recently spend three days at a religious retreat, which made me rethink my priorities, and how I spend my time. I haven't figured out the balance thing yet, but I can barely get to it all, and I stay at home!!! So if you scale back to two or three times a week, that is OK! You won't lose readers, I promise. You are so well-loved Ana. BTW, you may feel you are repeating yourself in your reviews, but you are not. Each one is thoughtful and thorough, so much that I am often envious of your skills of writing and literary analysis. As for my favorite author, thanks to bloggers? BY FAR, Sarah Waters. I love her from the depths of my bibliophile heart! LOL! I love the last part of your post! Congratulations on 3 years! I think you're right when you said that you may be feeling growing pains. I think many of us are. I don't think your posts are repetitive or predictable. You read a variety of genres and you like picking up books you think you might enjoy. Don't give up! (I don't think I will either.) Instead just see what happens in September.It's okay if you don't post every day or only post a few times a week. Your audience will be here anyway. . .
Because of blogging, I think that 95%of the authors I read I find on blogs. Seriously. I think my favorite authors I've found because of blogging are Neil Gaiman and Jacqueline Woodson. I hope you don't give up but I support whatever you decide is best for you. I remember when I was an admin for an oline community. Back then it was message boards not blogs but the same dilemmas: not enough time, being repetitive, worry about not supporting other communities. For me, I did eventually let go but I let go because it was time. I wasn't giving up what I loved but taking time to do something else I needed at the time. I see many in the blogsophere going through the same growing pains and for some coming to a crossroad. Guilt and perfectionism don't serve us. Let that go and take your time deciding. Regarding being repetitive, I think given the amount of information out here and the limited amount of time each of us has to visit our favorite places that being repetitive actually is a good thing. The reality is while you may say the same things over, I don't get the chance to read every single post so don't ever bore me and when I come here I am always happy that I was here. I think we will being simpler and less activity on many blogs and that just might be what most of us need. I think it's time we give up our frenzied, full pubbing schedules and relax. I think we all could appreciate feeling less guilty about how many posts we've missed. Know that you would be missed but you'd also always be loved. I am so tempted to create a vlog standing on my head! LOL! Congratulations on three years of blogging! That is a fantastic acheivement! I think there would be a big hole if you left the blogging world. Your blog is such a warm, friendly place and you always seem to be the first to rave about a book that turns out to be one of the best of that year. You have added to my TBR mountain in a big way! In the end you have to do whatever you are happy with, but I for one would miss you. This too shall pass. I don't always have time to comment/read/write, but I always come back to blogging and the blog world. And I've been blogging for 5 1/2 years. My favorite author that I've discovered through blogging is Connie Willis. Her time machine books are so much fun. Here's a review of Doomsday Book if you want to check it out. Happy 3rd anniversary! I hope you do continue your blogging because I love your rambling posts, but it's always best to do what's best for you. My favorite authors I discovered thanks to this community are Diana Wynne Jones and Garth Nix. Love them both so much. Happy blogiversary! I am new to blogging and only recently found your blog (and might be a lurker! :D ) but just wanted to throw in that your posts are always great. I hope you stick it out through the slow days. Happy three, Nymeth! You know how important I consider your blog to my own choice to start book blogging, so: no, thank YOU! I think all of your readers should consider ourselves so lucky to be able to read your words and thoughts as often as we do. I waited until after library school was done to start -- if your school is anything like the one I went to, you may not feel much like doing *anything* while you're working on your school stuff. It can be *brutal* but very rewarding. You are going to be a brilliant librarian and I envy any library that gets you. Ana, you were one of my first blogs that I discovered and even though we don't always share similar tastes, I've loved reading you ever since. You hear it with everyone, don't stress, so I'm not going to repeat it (or did I? Hahahaha). Take a breath and love life. You'll be great in whatever you do. Happy Blogiversary! I don't think I have anything new to add in the comments, but will say what's on my mind anyway. Your blog is always interesting and well written - it's what many of his aspire to. I hope you can figure out a way to put less pressure on yourself and do what you can and not worry about the rest. We would miss you so much if you weren't here! A great author I have discovered through blogs is Beth Kephart. Oh no I think there is some kind of blogger virus going around at the mo. One thing I would say is blogging is a creative outlet (ok it's not writing a book etc, etc but it's still a creative outlet)and many of us find that our creative outlets get shunted by the guilt we feel over neglecting real life, so just make sure you find some way to keep the creativity even if blogging does go by the wayside (eep hopefully not). As more people start piling on the 'the in crowd is neglects us' bus I feel like a lot of bloggers are stretching themselves really thin to make sure that no section of the community thinks they're being neglected, or snubbed. It's nice to try to make new blogging friends, but we're each only one person with 24 hours each day. I remember before I even started blogging I was reading about ten book blogs, now my reader is full of blogs and I definately feel pressured to read them NOW whereas before, when they were grouped in my favourites I'd just leave them and read when I had time. So maybe the new tools for keeping up with the community actually heap pressure on you to constantly keep up with the community. Such long comments you have inspired today! And that really is the crux of what your blog has been: inspirational. Happy 3rd Blogiversary, and as for posts and comments, I know I speak for everyone when I say we will all be happy will whatever there is from you whenever it comes! Wow! 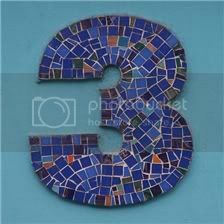 Three years is amazing, and you are entitled to sit back and meditate about other possibilities. I know what you mean...the blogging community is fabulous! When I started my first blog, it was all about marketing my books...but then I discovered so much more. They each have a different purpose and mission, and besides, I love designing and redesigning them. BTW...love your blog, and this is my first visit. Hope you'll stick around, even if you only occasionally post. <3 You know what's weird? I was going to write this post today. (Well, minus the third blogiversary/going to school stuff). I've felt much the same of late, and I've only been blogging for a year and a half. I don't see myself closing my blog down, but I feel terrible about how little time I've been able to spend visiting other peoples' blogs. I've started to tone things down lately because I feel like I don't have the right to post scads of reviews when it's taking me so long to read everyone else's. This is a little silly, because I wouldn't feel like anyone else should stop posting just because they don't have as much time to go blog hopping. And yes, that includes you! I always enjoy your reviews, and I don't find them repetitive. I love the way you write, and I'm always eager to see what you've been reading. I definitely understand feeling repetitive, though; I've also begun to feel like I say exactly the same things about each of the books I've enjoyed. Your example shows me that it can be tough to gage these things for oneself, though; if you're not repetitive, then maybe I'm not either (except that that's probably wishful thinking, because I'm pretty sure I am). But anyways, I do hope you keep your blog up, even if you don't post as much. And please, don't abandon Twitter! Now, as far as contest stuff goes... well, that's a toughie. I'm tempted to say either Elizabeth Knox or Galen Beckett, but I haven't read enough of their books to be sure. So I'm going to go with Anne Bishop instead, since I've enjoyed scads of her books. BLARG! All that, and I totally forgot to wish you a happy blog birthday! So: happy blog birthday! What a great post and congratulations on the BIG 3! I think there are a lot of us thinking the same things you are about your blog and blogging in general. (I know I am especially since I will be back to work full time after 11 months out of work). I think you need to accept the fact that your blog should be "for you", and no matter how many or how few posts you do, loyal readers will still stick around. Although I have close to 500 subscribers in google reader, a core of 20-25 seem to be the ones who always comment. The same is true for ma though. I subscribe to 275 blogs and try to read most of them, but only comment on perhaps 30 different ones each week. I hope you continue your blog; I think it is great. Hello Nymeth and happy blogiversary! Your post is indeed a bit gloomy, and while reading I kept fearing that you would say you were quitting, and I decided to de-lurk to say (on behalf of us lurkers :P ) that I really wish you won't quit, I would miss you! And blogging should be a hobby, right? So just give it the time you can give it, there's no need to feel bad about the time you cannot give it, we all have good and bad times and it always reflects on our blogs (ok, I know, I am not a good example...). PS. Where are you moving to? In September I'll be back to Portugal! Congrats on 3 years! Yay! I think we all get blogger angst. I wrote a little about that today too. We all feel that way sometimes. I know I do about the repetitive thing but I think we're the only ones who notice it about ourselves. I don't think you are at all. Anyway I love your blog so don't give it up completely but only post when you feel like it. Nooo don't feel guilty! the blogging community is lucky to have you, you're an amazing person who always gives a unique perspective on books and many other things, you shouldn't feel bad about anything. wow, this post inspired really long comments! I don't have much to say that I haven't already said over email :-) Just make sure you do what YOU want to do and not what you think would least offend other people- that's all! I just want to jump on the bandwagon and encourage you to give it time. You don't have to stick to any formula with blogging, just do what works best for you. Even if that means only occasional posts. You may find during librarian school that you want to take the blog in a different direction as well. Of course you can give it up altogether if that's what ends up working best for you, but I would miss you too much, so selfishly I hope you don't. I think your voice is one of the most treasured and important in the book blogosphere. On the thing about repetition--I completely understand. I feel I am often too repetitive as well,but I agree with Susan that it's actually a good thing. To hear something once amidst a crowded sea of voices is never enough. We need to hear it many times clear and shining for it all to start to sink it. So please don't worry about that. (((Ana))) I would miss you so much if you stopped blogging but I would understand. Life should be balanced and happy and if something has to give because of exciting opportunities like library school in an arty, vibrant city then the sensible girl in me says it should be blogging. I look forward to your posts and the last paragraph of this one reminds me of the many reasons why but our little purple Nymeth should be happy ... like a poppet. Happy bloggiversary! Without blogging I probably wouldn't have discovered Shirley Jackson and Muriel Barbery. I think we all feel this way about our blogs now and then, those of us who've been keeping one for many years anyway. I fully expect to one day give it up completely and move on to other things. One of my favorite blogs when I first became aware of them was Grumpy Old Bookman. I read him every day for about a year and then he announced he wasn't going to blog anymore. I haven't heard from Trish in some time and she used to be a major force as a book blogger. I miss both of them, but I understand that people have lives and often need to move on to other things. One thing I wouldn't worry about is being repetitive. I think we all read so many blogs, even those of us who just read a few, that we're not all that likely to notice when someone is repetitive. I even encourage you to publish repeats. I started publishing an old review twice a month some time ago, and it's turned out to be a pretty good feature. Search engines often don't look at posts older than one year, Blogger's internal 'search this blog' feature only looks at the last year's worth of posts. So reprinting older posts gets them back into circulation. And there are lots of readers who didn't see the post the first time around. I put my repeats up on Fridays which is a very low traffic day for me but I always get a fair number of comments on them. And, I want to say, some of my favorite blogs only publish new content four or five times a month. Feel free to take it easy on yourself. After three years, you've earned it. Gosh this is a long comment. Oh my goodness, Ana...so many things I want to say. But of course, I've said so many of them before. I really understand that guilt thing...why the hell do we do that to ourselves anyway?!! But the fact is we do, and honestly *do* feel bad even when we shouldn't. I know it has to be immeasurably harder for you because your blogging world is so much bigger than mine. I wish so very much that I had a dash of magic to sprinkle upon you though, to make you stop being so hard on yourself. Ana, you've NEVER expected perfection of anyone else...yet you seem unable to live with anything less from yourself. And let me say this, I know that blogging for you is about connections. But even if you were never able to spend time at other blogs, never able to spend a lot time chatting with everyone, your blog would still be adored! I don't say that because I love you, Ana. I say that because it's true. I *know* you don't see it, but Ana your posts are a gift to your readers. You might feel like you're repetitive, but I just don't see it. Yes, we've come to know the things that are important to you through your reading choices and through your reviews. If in three years, those kinds of things hadn't become evident, well, I'd wonder how much genuine your posts really were. (Does that make sense?) But even so, I know of no other person who reads as diversely as you do! Honestly, Ana, how many times have you been thanked by people for introducing them to a book they'd never even heard of? I'll bet you couldn't begin to count! I'm not saying that it might not feel repetitive to you...but I'm saying that I swear it's never felt that way from my end. Oh Ana, you know I will always, always, always support any decision you make...ALWAYS. But I'd be lying if I said I wouldn't miss Things Mean A Lot if you quit. But then, I'm not the one who matters here...you are. Follow your heart, sweetie. I promise you will be just as treasured whether you post once a day, once a week, once a month, or never. I say that for myself. But I *know* I'm not the only one who feels that way. Congratulations on 3 years of blogging!! I think many of experience the feelings you wrote about, and I know we'd all miss you terribly if you stopped. I hope you find a level of involvement that works with your life... even if it's just a weekly post for a while. We love you, Ana! Blogging should be fun; when it isn't, slow down or take a break. I'm sure blogging is different for you and Amanda from The Zen Leaf than it is for me. I can't imagine reading and responding to all these comments. Not to mention I'm sure you are much better about commenting on others' blogs. I do hope you are able to sort of reboot and stay blogging! I adore reading your reviews; you are such a good writer and thinker. Oh Ana, I know that things are changing so rapidly for you and can totally understand how you want to do a 110% on everything that you touch. Go with what feels right for you and yes, of course, quit being so hard on yourself dear...I can't speak for others, but I know that I'm not keeping tally marks for every time you stop by my blog. This is something that you do because you love it, when it starts to become a a heavy yoke around your neck, then something has to give. Hopefully, not you!! You're a top blogger, please don't let any of these worries be more than a fleeting thing - everyone understands that the rest of the world gets in the way, and that it isn't always possible to stay on top of every single thing. Life, work and studying have to be the priorities, and I think anyone getting grouchy at a blogger for not posting for a while, or not commenting much, is probably lacking something themselves! I'm so excited that you're going to be starting your studies soon, and I really hope the move goes well! Can I book you for a coffee and cake in a bookshop day when you're over here? Cory Doctorow thanks to you, and Tana French. I'd never have read them on my own. I applaud you for becoming a librarian. Librarians are my heros! To think you will bring your amazing intelligence and human sympathy and your sense of social justice and history--so clear to anyone who reads this blog--to one of the most important jobs there is! If it helps relieve the pressure, maybe you could think of library school as a different branch of what you already do as a blogger, instead of as competing with it? So, when you blog less because you're in school, it's not really like you're blogging less. Of course I'm greedy for your posts, but I would never want the process of bringing a fabulous new librarian into the world to be upset by overwork or burnout. Like everyone else is saying, it's okay to rethink your blog into a new library-student shape, or even drop it if you need to. I would be sad not to get to read about your reading anymore, but also happy thinking of all the people who will benefit from your education! About repetition. What feels like repetition to you feels like style to us. It's what makes a Nymeth-review a Nymeth-review! Wow, just wow. I mean, you said it. Congrats on reaching your third blogiversary. My blog will arrive at that mark later this year, and I can so relate to so much of what you've said that I hardly know how to say what I want to say (which means I'm about to go on at length and probably never find my point anyway). Three years is a long time in "blog years," and in the time I've been blogging so much has changed about me personally and about the book blogging community itself. When I started my blog, I didn't have a job, I barely had any friends that didn't live hours away, and I didn't do much that didn't involve me at my house. Now, I'm working full time, sustaining a fairly active social life, and traveling a fair bit more, to boot. As my time to dedicate to it has decreased, the book blogosphere has grown exponentially. It used to be that you could follow a hundred blogs or less and be following all the book blogs worth following, now that barely scratches the surface. I can't keep up with the ones that I follow, and I can't add the other ones I'd like to be following because what would be the point if I can't keep up with the ones I've already got? Going from being able to keep pace with a not-so-huge book blogosphere to keeping up with it such as it is now is automatically doomed to fail and a huge source of unfounded guilt for me (and for many other book bloggers it seems), and I know how true it must be for so many bloggers because, you know, I keep watching my number of subscribers go up while my number of comments goes down, so I often wonder if we all just end up overwhelming each other and overtaxing each other's commenting capabilities. Even so, I can't seem to shed the feeling that I'm not doing enough, that I'm not keeping pace with all the interesting blogging conversations that are happening, and certainly that my humble blog that I don't have the time to make beautiful and write hundreds of intelligent, articulate posts for is slowly fading into the haze. You know, my schtick is old and the the jig is up and yada yada. Those times are the worst because I think "I can't give this what it needs" so I'm going to scrap it or, even worse I start to give into those awful people-pleasing instincts that say I need to totally overhaul they way I write, what I write about, what I think is good in a book, so that more people will comment and I will ultimately feel validated in the time that I *do* manage to spend blogging. At the end of the day, I don't want to do either of those things. I just want to stop feeling guilty that I'm not doing enough and write about books I like and what *I* like about them even if it's just me saying the same things about the same books. Regardless of what kind of book I read, what I like about a book isn't going to change too awful much, so being redundant is a little bit of a given if you've got strong opinions about the things you like to read....and that's okay! As someone who is new to the book blogging world but not the blogging world let me assure you that although you might not have the time to be around as much as you would like, you will still be apart of the community. Secondly (and yes I know I skipped firstly) I'm a student and I have found that book blogging has helped me in my studies. My need to post at least one or two reviews per week has forced me to take time for me. To say, school needs a break, read. I have found that it is very important for my mental health because it gives me a creative outlet that is separate from school work. This is my time. I guess what I am saying is do it for you and not for anyone else. Ana, I'm just going to echo everyone else and say that I would miss you immensely if you gave up blogging. So selfishly I really hope you don't. But I get the feelings you've been having, because I definitely struggle with that myself. I always feel like I'm not doing enough, I'm not being a good enough blogger and sometimes it causes me to run screaming the other direction and just do nothing blog-wise for a few days. But really, anything you contribute to this community of ours would be a treasured gift (and is already). Yours is a beautiful and important voice and anything you have to say is worthwhile - and would be missed so much if you left us completely. And also, happy blogiversary! I think I would have to echo your sentiments about John Green - I would never have discovered him if it weren't for blogging, and my goodness am I glad I did. Have a wonderful (and happy!) week. Three years is quite impressive! I'm going on just three months! I can understand your frustrations, and whatever you decide as far as continuing to book blog, just remember to do what is best for YOU. I actually wonder if starting school to become a librarian could give you a new perspective to enter blogging with and therefore get you out of your rut. Good luck with whatever you choose! Ana, I cannot imagine blogging without you. I read your blog and it lightens my day. You are definitely responsible for at least a quarter of the books I have been buying recently. In fact both my reads this week are ones that you have reviewed, so I cannot believe that you think your posts are repetitive. I know many are feeling the same and I do realise how hard it is to keep blogging, but I would hate to see the book blogging world without you or Amanda. We understand if you need to slow down or even take time out. Big hugs. Even though I'm a newbie in the book blogging world, I've really enjoyed reading your posts. Yours are probably among the few that I read beginning to end because I do think you're quite thoughtful in your reading reflections - not repetitive at all! As for your question, so many of the books I've read recently come from blogger reviews, so I'll give you the most recent. I read The Iron King by Julie Kagawa last night and loved it. After seeing it pop up on so many blogs, I felt like I was really missing out, so I'm glad I hopped on that bandwagon. Can't wait to read more from her! Moving onto a new chapter of your life if so exciting, and I hope you love library school. I do hope you decide to continue blogging, though, as I love reading your reviews! Happy Blogiversary! My blog just turned three years old too; March seems to be a good time to get started on this. I really relate to what you're saying about being conflicted about not being able to be on the book-blogging scene 100%. I think many of us feel that way, and yet NOT many of us can actually do that. We have families, jobs, even other interests (!) - but when we spend time on those things, we worry about what we're missing or not doing in our blogging community. I'm not sure there's really a solution to the conflict, other than just accepting whatever participation level we can maintain with the least stress and most satisfaction. As for the contest, I'm basing my answer on a couple of books I've read very recently: Beth Kephart. Without book blogs, I doubt she'd even be on my radar. Congrats on the three year anniversary. As for the not being happy with your blogging... well I guess these things often come in cycles. I know last year I didn't blog as much as I have in previous times. And even now that I'm back writing posts more regularly they have changed. Its not a bad thing, its just a change :) If your RL is busy then I think that it is only natural your blogging would fade a little, don't feel bad about that. or indeed about popping in and out of blogging conversations. When, or if, you're able to spend more time you'll still be able to come back without trying to reconnect. One author I've discovered through book blogs is John Scalzi. I remind myself: I'm blogging for fun. Not for money. For fun. No pressure. Just do it when you feel like it. If you don't, don't. And don't worry about being repetitious...you have all new people listening in than when you first began. I love Katherine Center who I found through blogging. I'm hosting a giveaway on my Sunday Salon post today. I plan to give away two $10 gift cards to Amazon on Easter Sunday. I hope you will stop by and sign up! Happy 3rd Birthday! That alone is a huge milestone! But that in that time you've not only been an important part of the book blogging community, but continue to be a presence is something to be proud of. Hopefully in the coming months this community can be something that supports you in whatever decisions you have to make. I was going to steal your answer to your own question, but realized I was actually introduced to John Green outside of blogging (although, blogging has helped fuel my obsession...erm, I mean.. admiration). I'm going to thank the community (academy?) for introducing me to Suzanne Collins and a whole host of other YA authors I would never had tried out otherwise. I didn't realize blogging malaise was going around; it's kind of good to know. However you have to cut back, my hope is that you don't abandon this blog altogether. Because of you and Kailana, I discovered Sarah Waters this year. 2. I don't want to be entered in any giveaway so I'm skipping answering the question. I couldn't possibly answer it anyway. I have only 1 non-blogging friend I get book recommendations from so for the past 3.5 years about 99% of my book recommendations have come from fellow bloggers like you. 3. Please don't give up blogging - I would miss you too much. A blog can evolve and change as the blog writer changes. Let loose of the guilt of 'have to' posts. I like Beth's suggestion of even if it's only Sunday Salon posts or something else, until you're ready to do something different. I don't have the time or the reading speed to post every day. I average 3 posts per week and I've never been arrested by the blogger police. I've discovered so many great books through blogs, it's hard to pick just one. Karen Marie Moning is probably the only author whom I read and immediately rushed out to buy her entire series, though, so I'm going to pick her. My favourite author that I've discovered through book blogs is probably Neil Gaiman, as he is so loved in book blogging community. As for your loverly contest...probably Julie Anne Peters. Many of the wonderful authors I've discovered are ones I'd heard of outside of blogging too, but she's the one I never heard of except in blogging. First let me say, congrats on 3 years of blogging. Secondly, my fav author found through the blogs would have to be David Mitchell. Thirdly, I wanted to address you thoughts about keeping up with community. Having been blogging myself for 5 years, I can say a lot has changed in the book blog world. There are so many blogs now, so many events and happenings and challenges. It is humanly impossible to keep up with them all and if you try to keep up you find yourself quickly overwhelmed. I realized early on I could not Twitter. It was the straw that broke the camel's back for me. I also gave up feeling guilty that I was not leaving more comments. I subscribe to so many great blogs, I can't possibly leave comments everywhere. Like you, I work full time and just reading and reviewing feels like another full time job sometimes. Re: Your fear of being boring. You're not. I think doing what makes you comfortable and happy is the right thing. It is so easy to compare ourselves to others, to feel as though we have to be constantly creative and upgrading our blogs...but, I think that is a surefire way to burnout. I hope you'll be around for another 3 years (I love your blog), but ultimately you need to do the right thing for YOU! Oh, and my favorite author which I've discovered through book blogging has got to be Neil Gaiman, whom I already knew about of course but didn't start really reading until I started book blogging. But I've also discovered so many more. I get horribly selfish and childish when I hear you talking about quitting blogging. Don't you dare! But if you do, I suppose I'll understand. Maybe. ;) I know that it is possible to blog and read AND go to graduate school at the same time, and I also promise that I'm not very good at managing my time to begin with. I just can't feel guilty when I don't comment on everyone's blog. When I have the extra time (during breaks, etc) then I make sure to put in my all so that when I don't have the time, I can let it go and breathe easy. One of my favorite authors I've discovered since blogging is John Green for sure. I had never heard of him before blogging and I've loved everything I've read of his. Also Neil Gaiman. Truthfully, I had no idea who he was before blogging! Except I had seen Stardust and knew it was a book. No, I don't feel you're being repetitive, in fact I love reading your thoughts and I think your reviews are excellent! They're always so thoughtful and insightful! As for the blogging issue, I do understand how you feel. I do have that feelings some times. It's definitely a demanding hobby, but then again we feel lost if we do without it! Oh, the dilemma! You'd be GREATLY missed, although I do realize this is about you, not us. But it's truly okay if you're just an occasional blogger. I'd go on, but really, Beth said exactly what I'm feeling. Oh, and John Green, definitely. Oh Ana Banana...I have so much I want to say to you right now. Mostly, I don't want to sound like I'm preaching to you or being like a stern parent, but I really wish you weren't so hard on yourself...that I could show you what a gift you are to this community, to readers everywhere. That I could show you how important this blog has become as a resource to readers. And how amazing the person behind it is!!! But at the same time, I DO understand the overwhelmingness of it all and the guilt that goes along with not being able to do everything...I get a lot of it too. But like Debi said, Ana....you could never visit anyone else's blog again and still affect so many people...still be so special to everyone. This little space of yours has come to be a very special little purple space :D And I know I would miss it like hell if it went dormant completely. I really would. But I'd understand too. But I'll fight you tooth and nail to justify you continuing blogging ;) Just letting you know that up front ;) You won't go down without a fight! What can I write that hasn't already been said by someone else? Congratulations on your third year of blogging!!!!! Congratulations on getting into library school--I think you would make the perfect YA librarian (if that's the direction you want to go in), or a perfect librarian, period. Whatever you choose to do, please know that I have so enjoyed reading your blog and getting to know you through your thoughtful and perceptive reviews and comments.Whether you post a little, a lot, or not at all, I will always be happy to see a little bit of "nymeth" in my reader or a comment. Because some things mean a lot. Truly. Ditto what everyone else says. Don't go, because I'm selfish and Eva's on haitus and what would I do without you two? On the other hand, I hear you. I feel like this lately, like I'm running out of new ideas and everything I say is samey and I wonder whether blogging is using up time I could be putting to different goals. I feel pressure to read and bank up reviews when I have free time so that I have something to post when I'm busy and can't read. I'm not sure I want blogging to feel like an obligation. You'll figure it out. Promise that if you leave for realsies, though, that you'll at least posts lists of what you're reading that's good. Shazbot, what was the question? Oh yes. I also found Sarah Waters through bloggernets. She is The Best One. Congratulations on your 3rd blogiversary! Don't worry, Ana. I (and I will not speak for others, but I know for sure what I think), will not hold it against you if you don't come visit me. I visit your blog and comment on it because I enjoy it very much, and I'm not doing it just so the blogger would return the favor. If the blogger comments back, that's swell. Otherwise, it's fine by me. I visit the blog for the content and if friendship is forged as a result of that, that's fantastic. I've been feeling slightly burned out and unmotivated on and off too and I think we all do as bloggers. I will still make it a point to comment on all my favorite blogs when I return if I was away for a while. I may be slow but I know somehow, I will close the gap in time. I think I know what you might be feeling. I haven't been blogging for as long as you have (YAY! for your Big 3!! ), but I do think it happens sometimes, and very often all it needs is a change of pace. I'll be going through some major changes in life in the next couple of months, and the pace of my blog will most likely reflect that, things will be a little slower, as some other things take priority. But I guess with the blog, it's just good to know there's always a place you can go back to. Well, again, congrats on the Big 3! A big favourite I discovered via blogging is definitely Shaun Tan (that's thanks to you and Mee). As you know, I'm totally new to the blog world, having discovered yours a month ago but I'm totally hooked. You provide such variety and insight that it is always a pleasure to read your posts. I understand your perfectionist tendency as I suffer from it too but please don't let it spoil your enjoyment. Just do what you can. I would love to check blogs everyday and participate, even have a blog of my own, but I know I have too much on my plate right now (studies and two part time jobs). So, I enjoy the little snippets of time I can catch here and there. There is no denying that studying is time-consuming but at the same time it is so wonderful. Enjoy your librarian course (lucky you) and don't worry. Regarding a favourite author discovered through blogs, I would have to say Shaun Tan. I'm totally addicted to his art since reading your post. I have practically bought/read everything he's published. There is also a huge pile of books waiting for me from your reviews and I might very well find other gems in there. Thanks. Oh Nymeth, We do understand! Just stop feeling guilty, write for yourself, and stop worrying about being balanced. Really. We understand. I subscribe to an absurd number of blogs and I comment on a handful every day. (or, more accurately, once a week). Lots of skimming headlines and you know what, it's okay. Congrats on three years. That's a long time, and I'm coming up on my three year anniversary myself. I haven't reached the blogging slump yet, but I have noticed quite a few people have. Keeping the blog up and running is up to you because ultimately you started this project for you...not for us, though we would miss you...and I for one never feel like you are on autopilot. -- though like you I am seriously behind in participating in the community these days. As for your question: My new favorite author thanks to bloggers is Beth Kephart. I just love her books, but I've been introduced to so many new-to-me authors because of blogs. I hope you enjoy library school. Congratulations on the big three! I'll echo what many others have said... you'd be missed, so don't stop. But, do make it about you - not about us. We'll be here regardless. Happy 3rd birthday!!! I really enjoy reading your blog and how passionate you are about the books you read. I think the book blogging world is so exciting and friendly that it's natural to feel that you aren't doing enough, but you really are! My biggest find since reading book blogs is Steven Erikson's Malazan Book of the Fallen starting with Gardens of the Moon (which is actually the only one I've read so far, but I don't want to rush). If I were really rich, I'd fly over to your house. And if I were that rich, I would not clean it, but I would hire you a maid, at least for the day. I read American Rust thanks to a TLC tour, and I read Wench because of some really great reviews and guest posts I saw about it. Those have just been in the last couple months though. I'm not sure about my favorite overall. Hang in there! We'll miss you come fall, but I have a feeling you'll still be around, despite your new busy (yay!) schedule. And congratulations on your blogiversary! Shirley Jackson is probably one of the best authors I've picked up from book blogging (cheers for that), but there's loads! Bill Willingham, Helen Oyeyemi, Sarah Waters, Patrick Ness... Yum. Happy Bloggiversary Nymeth! I love coming to your blog but I totally get what you mean about going through some motivation issues. We definitely all go through that and of course when life gets crazy we start to think of the blog as a chore and that's hard. After all, this is supposed to be fun and our outlet! I hope you'll continue blogging but more importantly that you find your spark back. Let life take you where you need to go. No worries about what will happen to this blog. Just let things happen. It might lie idle for a while. But that is okay too. Heather, thank you so much :) I feel the same way when it comes through looking through other people's shelves. That's why I love it when people post pictures of book piles, book shelves, etc. Anyway, I hope we find a cure too! Andreea: Thank you so much for your kind and thoughtful comment. Though I'm sorry to know you've been struggling too, in a way it's comforting to know we all go through these things. I hope we both manage to find a balance and blog as seldom or as often as we can manage. Don't apologise for writing a long comment! I appreciate it more than I can say. Hannah, thank you :) Added your name to the hat. Teresa, thank you so much. We're all our own worst critics, aren't we? It's reassuring to know that others don't see the same repetition that I do. And you're right; nobody notices how much or how little I comment but myself, but it can be hard to remember that sometimes. I'll do my best, though. Thank you so much for everything! Susan, thank you so much. It's actually comforting to remember how recurrent these dilemmas are in all sort of online communities. We all have other priorities, after all, and can only do so much. I promise I'll do my very best to let go of my guilt and my need to be everywhere and do everything. Also, I love your point about repetition being useful when it comes to getting our message out. I hadn't thought of it that's way, but it's so true. Jackie, I'd love to see that vlog :P Thank you so much for your kind words! Sherry: Five and a half years! I hadn't realised you had been blogging for so long - you're one of the pioneers of book blogging! Thank you for your kind and reassuring words. And oh, I so want to read Doomdsday Book! Especially after loving To Say Nothing of the Dog as much as I did. Christina: lol, a grant to the US would be fun, but not much of a chance of that I'm afraid :P But I'd love to visit someday :D Thank you so much for the kind words! I hope you won't stop blogging although I can understand and relate to the burnout. I was feeling the same way a few months ago and I am not nearly as prolific as you are. I got over my feelings of burnout by giving myself permission to do what I have time for. This whole blogging thing has to be fit into our already busy lives. Whether we work inside or outside the home we are all busy doing other things and we still need time to read too! Anyway I love your blog and hope you will continue even if you only manage an entry per week. I will remain a loyal reader! I often feel the same way - like I'm behind on all these things. Just focus on what's important for you at this time. And yeah for becoming a librarian! My favorite blog-discovery author is Maria Snyder. Love her stuff! Dear dear Nymeth. I know you know I feel the same, so I understand completely. Like you said so aptly, it's also mostly about being guilty of not commenting or "being" in the community as much. I just want you to know that everytime your little purple icon pops up on my blog in the comments, my little inner self does a happy dance, but I do very much understand that you can't ever always comment on each post, as the case is with me as well. It's hard to reciprocate 100% to everyone when time isn't on our side. I think this is the reason also why I didn't sign up for twitter, even when I fear I must miss a lot in the community, but that adding another feature would take up more of my time that is supposed to be for my family. But Ana, based on the comments here, you are so loved, and you will be sorely missed. I will really really miss you very much if you stopped blogging. Although I can't blame you as I might also just up and go one day, even if I have all these commitments. But I sincerely wish you don't stop. Even if you posted just one a month, that would be better than not having you at all. You mean a lot to me and, obviously, to a lot of others here. Anyway, happy third year of blogging! My absolute greatest finds through blogging, authors that I now couldn't live without: Nicole Krauss, Dodie Smith, and Richard Yates. For the giveaway, I'd love to enter for a copy of DuMaurier's Rebecca. Thanks!! And thanks for being you!! First of all, Happy Blogging Birthday! And secondly, I can feel the predicament you are in, and I sympathize with you. It is very time consuming to run a blog and be active in the community. Often, there is an internal pressure to keep up with everything, and I admire you for continuing even when your time has been so limited. I want to tell you that I support whatever decision you decide to make and really appreciate the friendship you have extended to me over my blogging time. I also wanted to give you another thanks for being such a conscious and entertaining blogger who has expanded my reading horizons so much. No matter which direction you go with the blog, I will always have a special place in my heart for you and the wonderful things you have shared with me. Happy three years -- that is great! It's something to be proud of. The other thing that's helped me is trying to view my blog as something I do for fun. I often write posts as warm-ups to my class assignments or when I need a break. Anyway, those are some things that help make it work for me. It's challenging, and I suspect your blog will change once you start school, but it's certainly possible to blog and do school if you're able to give yourself a break. Good luck! Whoops -- that previous comment was me. I'm not sure what happened! Happy Blogoversary! I'm so glad you started "things mean a lot"; it's one of my favorite book blogs. An author that I discovered through book blogging Garth Stein. There are dozens of others, though, that I am refraining from listing in order to comply with the rules! Fellow future librarian! Happy 3rd bloggiversary! I would miss you dearly if you left the community. Your blog was one of the first ones I found when I started blogging (and I'm still quite a fan of your work). If you posted once a month, I know you'd still have just as strong of a following and your posts would be just as wonderful as they are now. Jodie: lol, I think there is. It's true that blogging is a creative outlet, and I'd miss it terribly for that very reason. I no longer feel that I've experienced a book completely unless I sit down and write about it when I'm done. But we'll see what happens. Anyway, I think there's something to what you said. I know I'm terrified beyond reason of making anyone feel snubbed, but sometimes you just can't help it. I have to remember I'm not always responsible for other people's feelings. I can only try to be kind and hope for the best if I want to retain my sanity. Diane: Thank you so much :) And you're right; I need to keep in mind that this is my hobby and most of all I'm doing it for myself. Chris, you're right - we're probably the one ones who notice. Thank you for the kind words! Aarti: Thank you for listening to me and opening my eyes to those things that we always seem to miss even though they're obvious :P And hooray for anonymous commenters leaving awesome recommendations! brideofthebookgood: Thank you so much! I'll try to adopt your attitude, as I think it'd do me good! C.B. James: It's funny - when I was talking to Aarti about this a few days ago she pointed me towards Grumpy Old Bookman's last post, and it was both comforting and unsettling to see how very familiar it all sounded. Everything comes to an end, I know, and I might as well enjoy my time here instead of fretting. Also, that's an excellent idea about republishing old content! I'll keep it in mind when September comes. JoAnn, thank you so much! I hope I manage to find that elusive balance. Trisha, thank you so much for the kind words! I know I should be so hard on myself about responding to comments, and that most of the time people won't even notice if I don't. But I don't want to lose the habit, you know? Still, I need to remember that not being able to sometimes is only human. Happy blogiversary! I think now and then we all self-examine what we are doing and why; and that would include blogging also. How funny that you ask about a book that we might not have discovered if it wasn't for book blogs. I said that very thing about the book I reviewed today -- "The Hakawati" by Rabih Alameddine. Oh, and you'll do great in library school, I just know it! I can relate, blogging is demanding as well as rewarding. Well, I have to say that most of the authors I now want to read are because of book blogs! I discovered Josh Bazell and I loved Beat the Reaper. Just a great book. I hope the movie does it justice. I discovered John Green through book blogs, too, though I haven't read him yet. I just have 2 of his books in my TBR pile, lol. Heather, thank you so much :) I'll try my best to be okay to just doing however much I can - no obligations and no guilt. brichtabooks: It very well might :) Thank you so much for the encouragement! Jo: I can see those zero eneger moments in my future...but at lease it'll be worth it. I really think I'm going to love it. Thank you for the kind words! Vivienne: Aww, thank you so much! Hugs to you too. It's friends like you who motivate me when I just feel like disappearing, you know. She, thank you! :D I think I'll love library school, yes. Florinda: Thank you, and a very Happy Blogiversary to you too! :D Ha, other interests - there are times when I forget that I actually have those :P I think that the solution is to just relax, but that's easier said than done. We can try, though. Fence: I know, it's not bad, but change often stresses me out :P We'll see what happens, though. I need to remember that even if I need to take a year off it's not the end of the world. Amanda: It really seems that there's something in the air! So many people have been feeling this way lately. Hopefully it'll pass, though, and we'll be able to get rid of our guilt. I never think you're repeating yourself, btw. I guess it's easier to see flaws on our own posts, since we're so used to our thoughts that they seem unoriginal. But hopefully nobody else notices. Happy blogiversary, Nymeth :) No, please don't quit blogging, we love reading you too much! Big hugs, and good luck with library school - you're going to be brilliant. Daphne, thank you so much :) I think that popping up to say hi every week or however often I can is perfectly possibly - I just need to remember not to feel guilty for not doing "enough". Jill, thank you! :D I'll keep Beth's very wise words in mind. Violet, thank you :) I'll definitely try. ds, thank you so much! I can't tell you how much that means coming from you :) I'm indeed considering being a YA librarian, btw, but who knows...all options are often for now. It's exciting and just a little bit scary. Alice, you're always too kind :) Thank you so much for the kind words, and for having been such a supportive blogging friend for so long. Veronique: I'll do my best not to let them spoil things, I promise. If things get too busy come September, well, there will be quieter periods in my life in the future. I just need to take it one day at a time. Thank you for the support, and I'm glad to have introduced you to Shaun Tan! I wiiiiiiiiiiish there was anything I could say that others haven't already said (and said better) that would be this great, big, profound and helpful thing to you. Except I've no idea what that would be. So I shall just hug you. And wish you a happy blogiversary. And say, whatever you end up doing, I shall support you in it. Well, obviously I am not able to keep up with the blogging world, as I am just now reading this post 5 days late. I have no advice - only wanted to let you know that I truly do enjoy your blog, and as I only found it about a year ago, I find nothing repetitive. Because of you mini-challenge last year, I tried a graphic novel for the first time and found a new blogging friend. I would say if you enjoy writing about the books you have read, then use the blog for that - we will all still visit and not count how many times you post in a week. Happy blogiversary! I know where you're coming from; I think many of us have been there. But I must tell you that I absolutely love your blog. It's among my favorites! I don't think you sound repetitive at all. But blogging is supposed to be fun, though you don't have to do it every day. I find it hard to find time, between work and family, etc. Whatever you decide, make sure you're happy. That's most important. Rebecca: I promise I'll try my very best to stop :P Thank you so much for the support! I know you've been experiencing some of the same, and your recent decision to just walk away for a few days was inspiring. J.T.Oldfield: lol, thank you for the hypothetical offer :P I hope you're right and that I do manage to balance everything and stick around. Jenny: Thank you so much for the kind words! And I really need to read Hlen Oyeyemi, don't I? Iliana, thank you so much! Hopefully I will before too long. Kathleen, you are too kind! Thank you so so much. Claire, thank you so much! I can't tell you how much those kind words mean coming from you, one of the bloggers I look up to the most. I'll try to remember to relax, and I'll keep in mind that I'm not alone. We all struggle, and nobody can be everywhere or do everything. Kim: I'll definitely have to set some limits as well. It'll be weird at first to have to cut back, I'm sure, but I'll get used to it in time most likely. The fact that I'll be reading a lot less will definitely help. Jessica, thank you for the kind words! Valerie, thank you so much. It helps to know I'm not alone in asking all these questions. Rebecca: I hope that when spring finally arrives here (it's been so rainy and miserable! Booo) I'll be able to feel a bit more motivated as well. Thank you for everything! Alessandra, thank you so much! Shanra: lol :D I can't tell you how much your comment made me smile. A very happy third anniversary to you Nymeth. You already know how popular your blog is among the community but thanks again for continuing to provide us with fabulously written reviews! I am so pathetic - I only ever remember my own blogiversary when I see your blogiversary post! We started within a week or so of each other. I completely understand and relate to everything you've said. There are so many things I'd do with my blog if I had more time, but still, I do have fun with it, and when I was in library school I found it was a great way to take a break from all the studying and classwork and write something I wanted to write for a change. I do hope you'll still have time to post - I'll look forward to hearing your thoughts on library school! 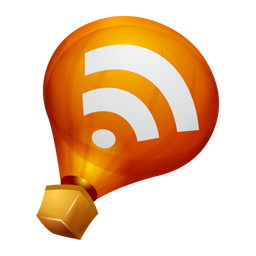 Confession: Google Reader clears out posts over a month old. I saw this post in some of my skimmings but still wasn't to the point where I was commenting on book blogs so I came here today specifically in search of this post because I wanted to tell you congratulations on three years and how much I love you and your blog. Not the post I was expecting, but Ana, you have completely expressed everything that I have been feeling for the past six months. Every time I tried to explain myself, I couldn't have done it better than you did right now. I didn't mean to turn this comment into something about me--it's just I relate so well to what you are saying. I sincerely hope that you can find a medium between not blogging at all and going full throttle. But I'm also sorry to hear that you are not happy with your blog anymore--I wonder if it's natural to feel those feelings after so much time in a routine.